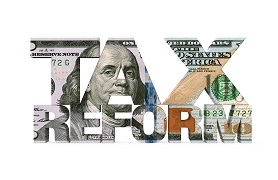 Formally known as the Amendment of 1986 Code, the recent tax overall legislation was the topic of the December 22 episode of “Deadline Now.” Towards understanding the proposed changes, the WGTE news program interviewed Eastman & Smith member Gary M. Harden and retired Bowling Green State University professor Dr. Douglas Neckers. At the time of the interview, the tax bill had not been finalized. In addition to comparing the Amendment bill to the changes made in 1986, Mr. Harden’s discourse included how the legislation may affect businesses and the individuals who own them, tax provisions for infrastructure and outcome on the federal deficit. Further, Mr. Harden examined how the bill’s efforts to encourage reshoring and treatment of C corporations, may affect flow-through companies and other closely held, entrepreneurial businesses, and professionals. The provisions addressing higher education (some of which were removed from the final act), its students as well as the institutions’ research efforts were covered by Dr. Neckers. You can watch this episode of “Deadline Now” on its web site. A transactional tax lawyer with regular involvement in tax strategy and planning for over 35 years, Gary M. Harden partners with clients and collaborating professionals on a national platform, designing and implementing value added business. He has a master’s degree in tax law from New York University, which he earned after obtaining his law degree from the University of Toledo. Mr. Harden also has a degree in accounting from the University of Notre Dame. Should you have any questions regarding the new tax law, or would like to evaluate how best to position your business for these changes, please contact Mr. Harden or one of our team of tax law professionals.